A photograph of three Cheyenne men identified as Spotted Horse, Black Bear, and White Wolf. 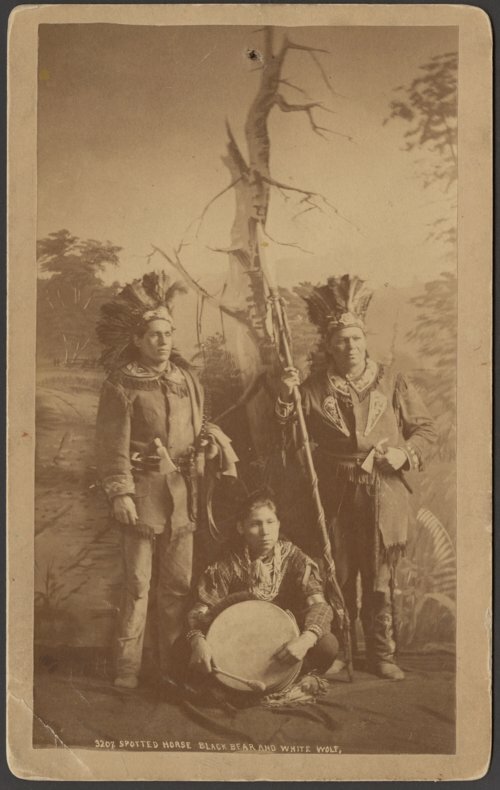 The men are posed in traditional dress in front of a wilderness backdrop. Funds for digitization provided by Mr. Steve Peckel in memory of William Chalfant.